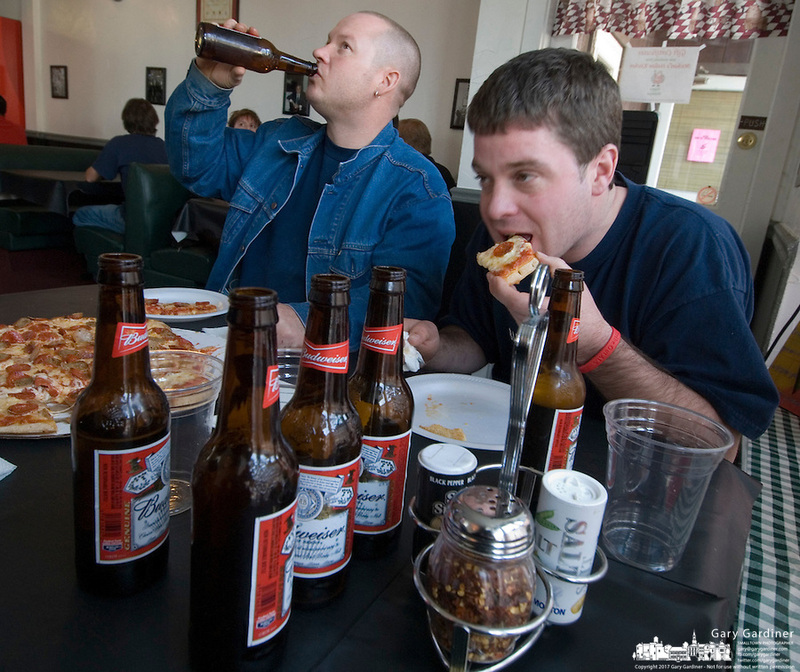 Mark Miser, left, downs a beer as his dining partner, Josh Groves, bites into a pizza at Michael's Pizza Friday, January 13, 2006, on the first day of alcohol sales in downtown Westerville, Ohio. A ballot issue in the November 2005 election approved alcohol sales in downtown Westerville, home to the Anti-Saloon League. Michael's Pizza is one of several new alcohol sales permits in the city. Alcohol was last served in the city more than 120 years ago.